Rinzai is the Japanese name of a school of Zen Buddhism. It originated in China as the Linji school. Rinzai Zen is distinguished by its emphasis on the kensho experience to realize enlightenment and the use of koan contemplation in zazen. In China, the Linji school is the dominant surviving school of Zen (called Chan in China). Linji also strongly influenced the development of Zen (Seon) in Korea. Rinzai Zen is one of the two dominant schools of Zen in Japan; the other is Soto. Rinzai Zen originated in China, where it is called Linji. The Linji school was founded by Linji Yixuan ( Lin-chi I-hsuan, d. 866), who taught in a temple in Hebei Province in northeast China. Master Linji is remembered for his outrageous, even harsh, teaching style. He favored a kind of "shock" Zen, in which skillful application of shouts and punches would startle a student into an enlightenment experience. Much of what we know about Master LInji is from a book of his collected sayings called the Linji Lu, or record of Linji, known in Japanese as the Rinzairoku. The Linji school remained obscure until the Song Dynasty (960-1279). It was during this period that the Linji school developed its distinctive practice of koan contemplation. Buddhism, including the Linji school, went into a period of decline after the Song Dynasty. However, Linji Chan Buddhism is still widely practiced in China. In the 11th century, Linji split into two schools, called in Japanese Rinzai-yogi and Rinzai-oryo. Myoan Eisai brought Rinzai-oryo to Japan late in the 12th century. This was the first school of Zen in Japan. Rinzai-oryo combined Rinzai with esoteric practices and elements of Tendai Buddhism. The other school, Rinzai-yogi, was established in Japan by Nanpo Jomyo (1235–1308), who received transmission in China and returned in 1267. It wasn't long before Rinzai Zen attracted the patronage of the nobility, especially the samurai. A lot of perks come with having wealthy patrons, and many Rinzai teachers were happy to cater to them. Not all Rinzai masters sought the patronage of samurai. The O-to-kan lineage -- named after its three founding teachers, Nampo Jomyo (or Daio Kokushi, 1235-1308), Shuho Myocho (or Daito Kokushi, 1282-1338), and Kanzan Egen (or Kanzen Kokushi, 1277-1360) -- maintained distance from urban centers and did not seek the favor of the samurai or nobility. By the 17th century, Rinzai Zen had become stagnant. Hakuin Ekaku (1686-1769), of the O-to-kan lineage, was a great reformer who revitalized Rinzai and refocused it on rigorous zazen. He systematized koan practice, recommending a particular progression of koans for maximum effect. Hakuin's system is still followed in Rinzai Zen today. Hakuin also is the originator of the famous "one hand" koan. Rinzai Zen in Japan today is very much Hakuin Zen, and all living Rinzai Zen teachers are of Hakuin's O-to-kan teaching lineage. 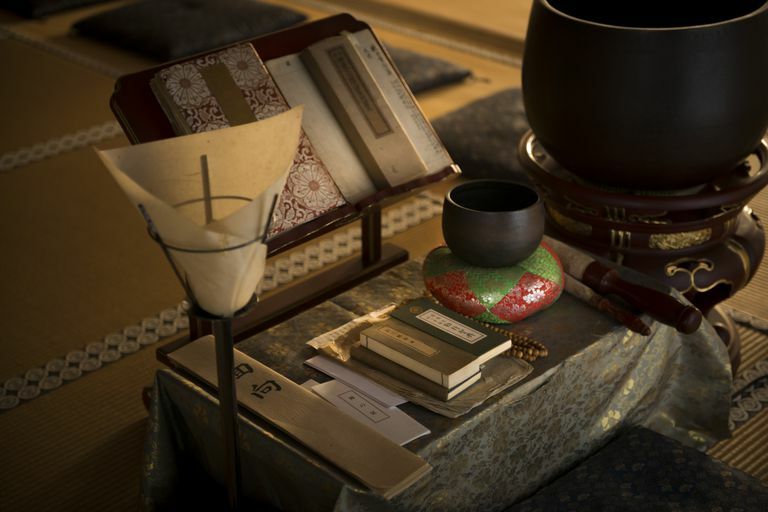 Unlike Soto Zen, which is more or less organized under the authority of the Soto Shu organization, Rinzai in Japan is a tradition of informally affiliated temples teaching Hakuin's Rinzai Zen. Rinzai Zen was first introduced to the West through the writing of D.T. Suzuki, and Rinzai Zen is being taught and practiced in the Americas, Australia, and Europe. The Old Chinese Zen Saying, "Empty Your Cup "